The Bologna skyline uses to rival Manhattan with hundreds of towers instead of hundreds of skyscrapers. One a few remain, but there are various city gates and towers that still keep the skyline interesting. One is the Torresotto di San Vitale (or San Vitale Gateway, not to be confused with the Porta San Vitale). 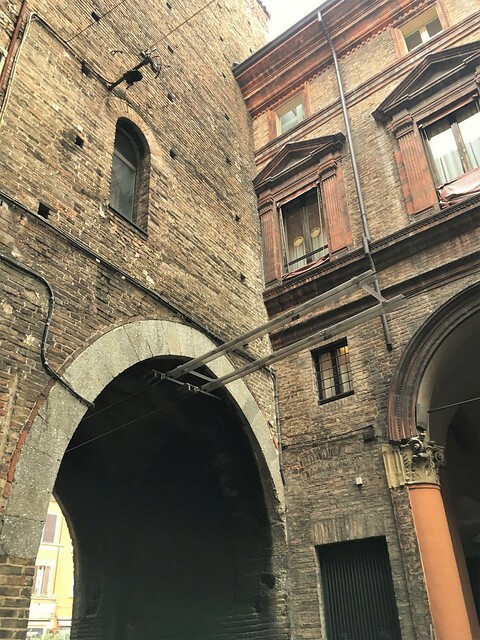 Via San Vitale is a major street — with some major architecture! — that serves as one of the spokes in the rings (viali) of the city. 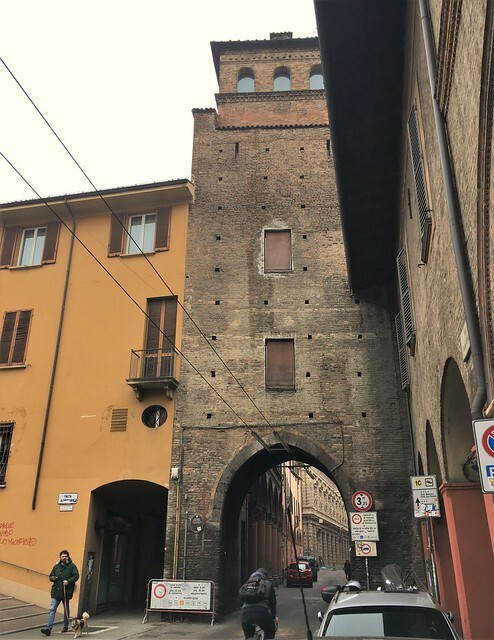 The older versions of Bologna were encircled with city walls and gates and as the city grew, new rings of walls and gates were constructed. We live by one of the latter set and get to enjoy some of the remains of the city gates and walls when we take Charlie out for most walks around the neighborhood. 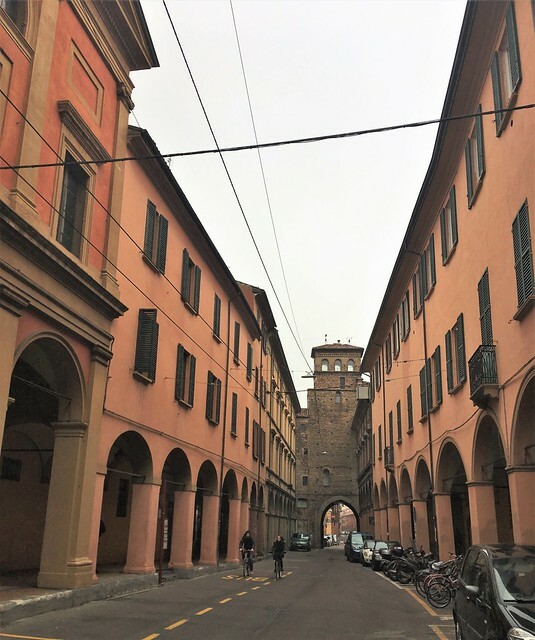 However, when we head toward the heart of the city (the two towers and Piazza Maggiore), we often end up coming across some of the other rings. The Torresotto di San Vitale is a marker that divides Via San Vitale. 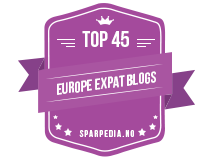 It’s right by Piazza Aldrovandi. As you head into the city, you end up at the two towers in the Piazza Ravegnana. The Torresotto di San Vitale was part of the second ring of walls around the city, built in the 1200s. The gateway is a nice little piece of architecture in its own right, viewed from either side, but there are some pretty spectacular buildings the further into the city you move. There’s some rustication and decoration on one of them that is over the top and pretty fabulous. You can just see it peeking through on the left in the first photo.